Workshop: Harmoniegesang / Harmony Singing, 17.-18.03. Helen Chadwick kreierte Auftragsinszenierungen von Gesangstheater-Stücken beim Royal Opera House, der English Touring Opera, den Greenwich- und Salisbury-Festivals, und komponierte für die BBC, die Royal Shakespeare Company und das englische National Theatre. Sie hat bereits zehn Alben aufgenommen und ist Gründerin des breitenwirksamen Wohltätigkeitsprojektes Sing for Water. Kürzliche Performances ihrer Gruppe The Helen Chadwick Song Theatre sind “White Suit”, ein Stück, das auf dem Zeugnis eines Landminen-Überlebenden basiert, und “War Correspondents”, basierend auf Interviews mit Journalisten, sowie Konzerte und ortsspezifische Arbeiten. 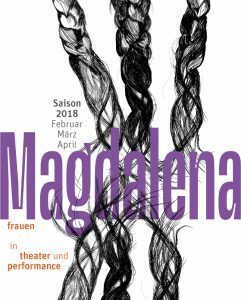 Derzeit arbeitet das Helen Chadwick Song Theatre an einem neuen Lieder-Theater “TRUTH”. Helen wird ihre Performance “Fragments of Love” aufführen und einen Stimmbildungs-Workshop leiten. Helen Chadwick ist Gastkünstlerin im Ebenböckhaus, München. Helen Chadwick has been commissioned to create song theatre performances for the Royal Opera House, English Touring Opera, Greenwich and Salisbury festivals, and has composed for the BBC, the Royal Shakespeare Company and the National Theatre. She has recorded ten albums and is the founder of the mass charity singing project Sing for Water. 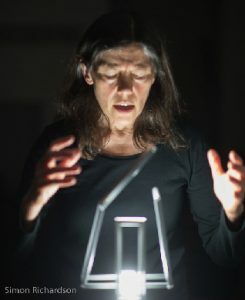 Recent performances by her group Helen Chadwick Song Theatre include White Suit, a show based on the testimony of a land mine survivor, and War Correspondents, based on interviews with journalists, as well as concerts and site specific work. Helen Chadwick Song Theatre is currently working on a new song theatre performance called TRUTH. 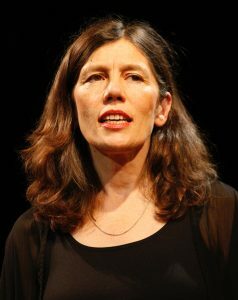 Helen will perform her show Fragments of Love and give a voice workshop. Helen Chadwick is Artist in Residence at Ebenböckhaus, München.